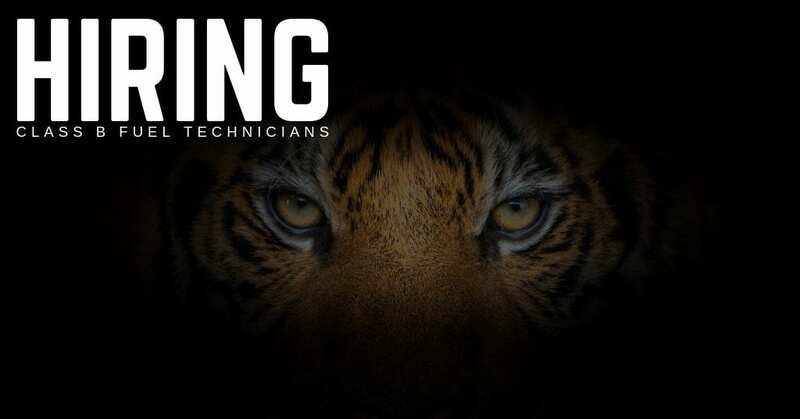 Tank Tigers, an STS Aviation Group Company, is now hiring Class B Fuel Technicians in Miami, Florida. Carry out the assigned tasks, in accordance with the applicable maintenance manual. Maintenance performed which have been completed or partially completed have been signed off. Ensure maintenance operations are performed in the appropriate sequence that inspections are requested in an orderly and timely manner and that maintenance activities are performed according to the appropriate maintenance data and customer requirements. Ensure test equipment or tools used to make airworthiness determinations are labeled and current. Request stock as required for the work being performed. Properly record the work performed on the appropriate maintenance record and complete the additional paperwork as required. Remain cognizant of applicable FAR part 145 and 43. Familiar with the content of the company Repair Station Manual, Quality Control Manual and subsequent revisions. Responsible for recording time of tasks assigned. Immediately communicating to supervision any procedures, practices or habits, if not corrected might lead to injury, inefficiency or un-airworthy conditions. The work demands flexible schedule and the ability to fit into small areas and work in confined spaces. Reports to the Facility Supervisor and/or Facility Manager. A Technician Class B is responsible for performing fuel tank maintenance. This includes preventive maintenance and alteration tasks as directed and assigned in accordance with the applicable maintenance data. Must be able to comprehend and perform fuel system aircraft maintenance. Required Experience: Aircraft maintenance experience of 2-4 years. The qualifications for this position are basic knowledge, experience and/or training required to perform the assigned task. This position will not be assigned management, supervisory or inspection duties and does not have authorization to sign a maintenance release for approving, maintained or altered article for return to service. Therefore, this position is not required to be certified under 14 CFR – part 65 or be listed on the Management, Supervisor, or Inspector roster. Tank Tigers, an STS Aviation Group Company, is the newest brand under the STS Aviation Group umbrella. Our company focuses on delivering complete aircraft fuel system services to clients all over with world. If you would like to speak with a Recruitment Professional directly to learn more about benefits, job specifics, our company, etc…, please call 1-800-359-4787. STS’ career placement services are always free, and we are open seven days a week. Reach out at any time! Thanks so much for your interest in working with Tank Tigers, an STS Aviation Group company, and we look forward to hearing from you soon.